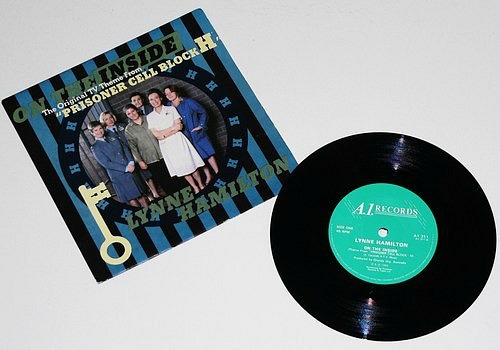 LYNNE HAMILTON "ON THE INSIDE"
So who remembers watching Prisoner Cell Block H? This theme tune is rarely played these days, and I guess that many of you won't have haven't heard the tune in a long time, or may have completely forgotten about it. The video features a clip from BBC Top Of The Pops in 1989. Originally a 70's tune, "On The Inside" was a one hit wonder for the English-born singer Lynne Hamilton in the UK during 1989, reaching #3 in the singles charts. However, the song was originally released in Australia ten years earlier in 1979, reaching #1. 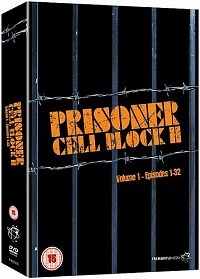 Written by Allan Caswell, the song was used as the closing theme tune for the Aussie soap opera Prisoner Cell Block H in 691 out of 692 episodes. In the one episode it wasn't used in (I'm not sure exactly which one! ), "Pixie's Song" was used instead, as it was appropriate to the story line. The TV soap didn't air in the UK until 1989, hence the later release of the song over here. Lynne Hamilton is an English singer who was born in Lancashire and began her musical career with the Desperadoes as a backing singer. She was also a friend of the Beatles, especially Paul McCartney. Hamilton also sang "In Your Arms (Love Song from Neighbours)" which was used in the Australian soap Neighbours several times, including the day Henry Ramsay (Craig McLachlan) left in 1989. It was released as a single but did not chart.